His research interests focus on processes of social cognition, social learning, and communication/language in human children and great apes. His recent books include Origins of Human Communication (MIT Press, 2008); Why We Cooperate (MIT Press, 2009); and A Natural History of Human Thinking (Harvard University Press, 2014), and A Natural History of Human Morality (Harvard University Press, 2016). 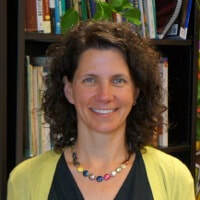 Elizabeth Yost Hammer is the Director of the Center for the Advancement of Teaching and a Kellogg Professor in Teaching at Xavier University of Louisiana. She received her Ph.D. in social psychology from Tulane University in 1994. She is passionate about teaching and regularly teaches Introductory Psychology, Research Methods, and Human Sexuality. Her research interests focus on the scholarship of teaching and learning, and she has contributed chapters to books intended to enhance teaching preparation including The Oxford Handbook of Psychology Education and Hot Topics: Best Practices in Teaching Controversial Issues in Psychology. She is a co-author of the textbook, Psychology Applied to Modern Life, now in its 12th Edition. She is currently working the teacher’s edition of Myers and DeWall’s AP Psychology Dr. Hammer is a past-president of Psi Chi, a past-treasurer of the Society for the Teaching of Psychology, and served as Chief Reader for the Advanced Placement Psychology. Her work in the Center for the Advancement of Teaching includes organizing pedagogical workshops and faculty development initiatives. She, her husband, and their two dogs work and play in New Orleans, Louisiana.